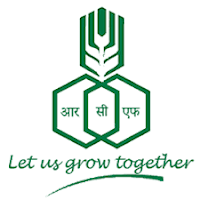 Rashtriya Chemicals & Fertilizers Ltd. is a Public Sector Undertaking in India under the Ministry of Chemicals and Fertilizers of the Government of India, based in Mumbai. RCF is one of the leading producers of fertilizers in India. Candidates who have completed B.Sc. (Chemistry) Degree with Physics as one of the subjects during any of the 3 years course of B.Sc. Degree and NCVT in the AO (CP) trade/ Full time & regular Diploma in Chemical Engineering/Technology with 50% marks or 04 years’ full time & regular Diploma in Chemical Engineering/ Technology with 50% marks or equivalent from a recognized Institute for RCF Recruitment 2018. Eligible & Interested candidates can apply via online in Official website page at www.rcfltd.com RCF Recruitment 2018. Take a print out of RCF Recruitment 2018 online application form.